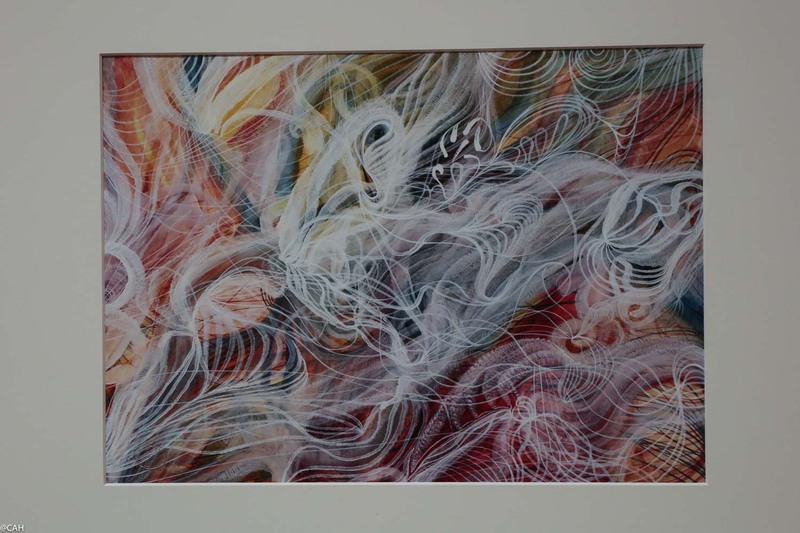 Many of the works in this exhibition are owned by a Spiritualist Society in Melbourne, Australia so if you are not from over there and want to see them, the exhibition is on until 11th September. 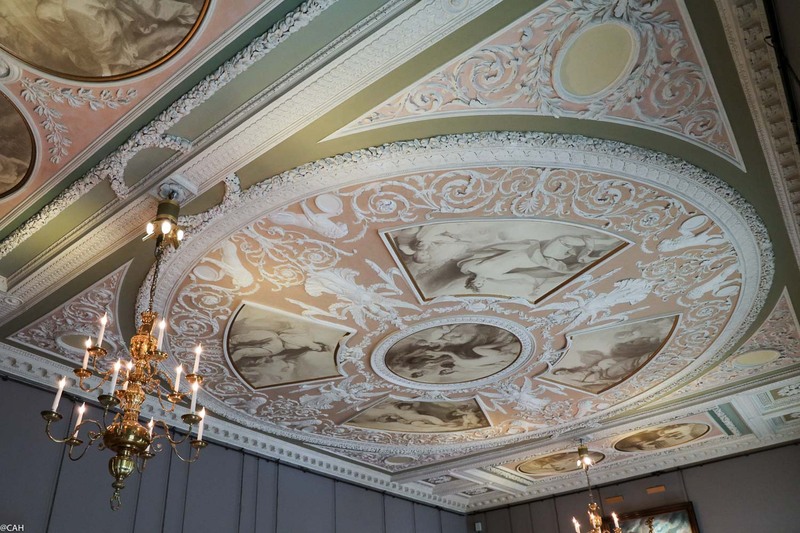 Somerset House is a wonderful building with some fantastic ceilings. There were other galleries and in the one devoted to drawing, an collection entitled ‘Regarding Trees’. 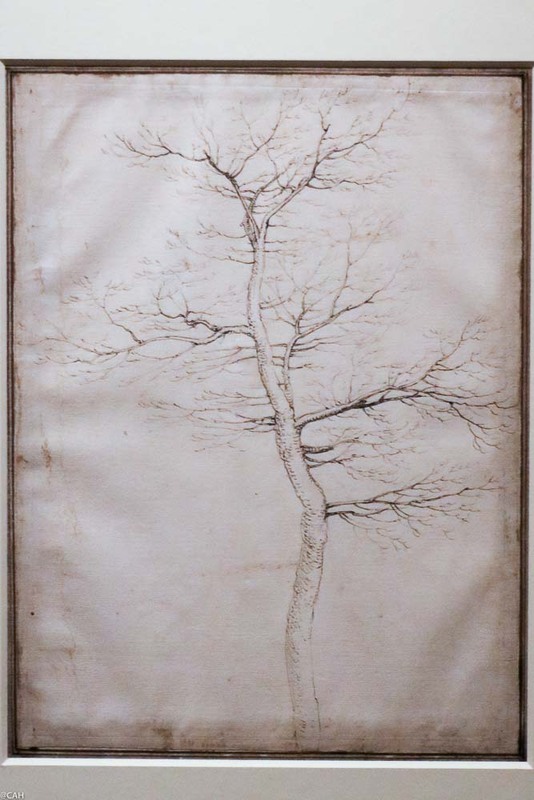 I particularly liked this drawing from 1504, thought to be the earliest depiction of a tree in its own right. After fortifying ourselves with coffee, we crossed over to the South Bank via Waterloo Bridge and had a browse in the book fair there. On Saturday there are fewer stalls than in the week and I did not pick up any books but we found a map of New South Wales from 1824 to add to our collection. Further along on Bankside was the annual exhibition of the Royal Watercolour Society and the Royal Society of Painter-Printmakers. It is free and also on until September 11th. 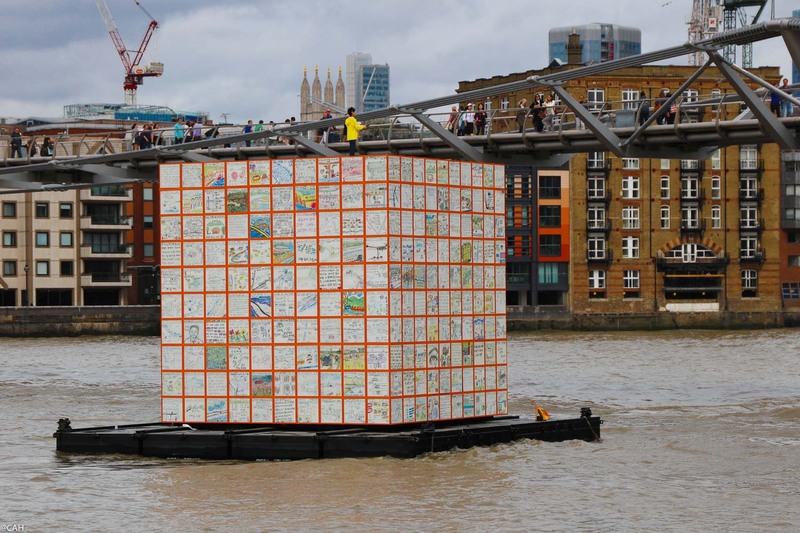 The annual event ‘Totally Thames’ is currently underway with various acts and displays along the riverside. One I found quite striking is ‘Floating Dreams’ by a South Korean artist. It is constructed from 500 drawings and commemorates the people who died in the Korean War. Our next stop was the Tate Modern to see the Georgia O’Keeffe exhibition. 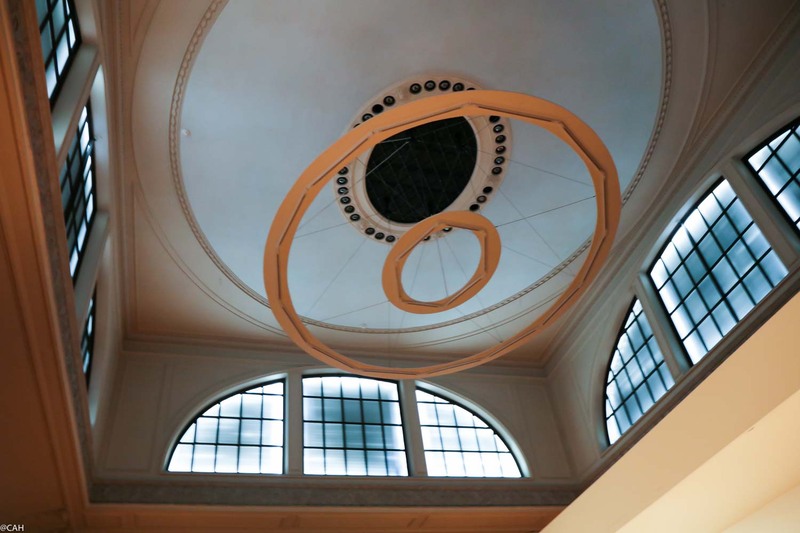 When we were last in New Mexico three years ago, we visited the Georgia O’Keeffe Museum, only to find the gallery closed for re-hanging. We did get a tour of her studio however. Having experienced the landscape there, aided our appreciation of her New Mexico landscape works. Over 100 works dating from her teenage sketchbooks to the 1960s are included and also photographs by Alfred Stieglitz whom she married and their friend, Ansel Adams. Photography was not allowed. The exhibition continues until the end of October and is definitely worth seeing. 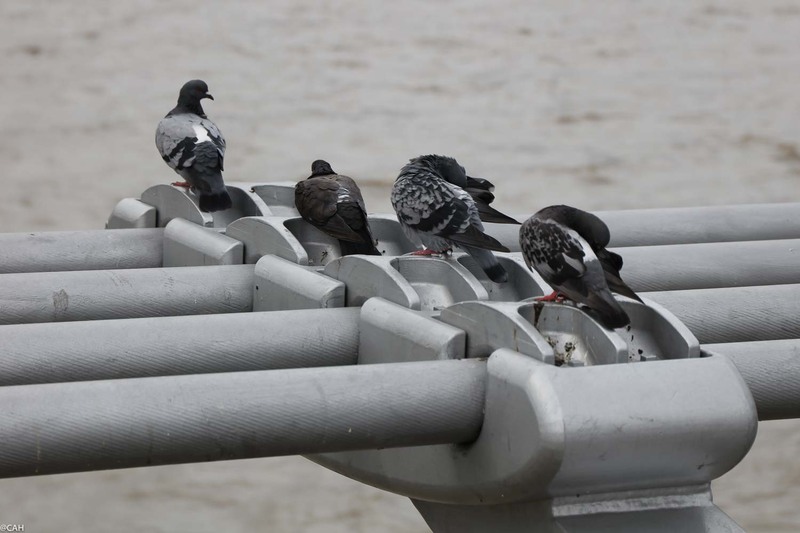 Afterwards we walked back over the river on the Millennium Bridge where these pigeons were resting. The bells were ringing at St Paul’s Cathedral for a wedding but we continued on towards Covent Garden. Once we were there, the warm, humid day called for a cold beer in Philomena’s pub which has so many TV screens that James could catch up with football and rugby at the same time. It turned out to be the London base for the Northern Ireland Supporters’ Club. He had been wondering where that was for a while. We popped into Stanfords to pick up a New Zealand road atlas for next year’s trip and then slowly made our way to Euston Station. Unfortunately some signal problems near Wembley were causing total chaos and although our train left Euston only two minutes late, it took us five hours to get home.